Cornerstone Universal Plan (CUP) is a short-term savings plan that assists in providing a lump sum over a maximum period of time, 24 months, with a guaranteed interest that is tied to the Monetary Policy Rate (MPR) declared by the Central Bank of Nigeria (CBN), currently fixed as MPR minus 5%. Interest will be credited the moment payment is successful via using an ATM card. 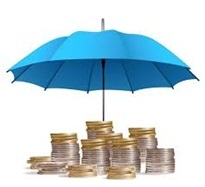 The sum assured (Life cover) is the FIRST INSTALLMENT DEPOSIT paid on the policy e.g. if one choose a 24month N120,000.00 premium per annum policy, then the sum assured will be N10,000.00 (for monthly payment); N30,000.00 (for quarterly payment), N60,000.00 (for half yearly payment) and N120,000.00 (for yearly payment). In the event of early death (of investor) before maturity, the death benefit is the amount in the policyholders account (fund balance) plus the Life Cover mentioned. The policy offers Tax exemption on proceeds of investment.. The policy offers Tax rebate on risk premium of the investmenet policy in compliance with the section 33 (4) (d) of Personal Income Tax Act. NO. 104, 1993 (as amended).